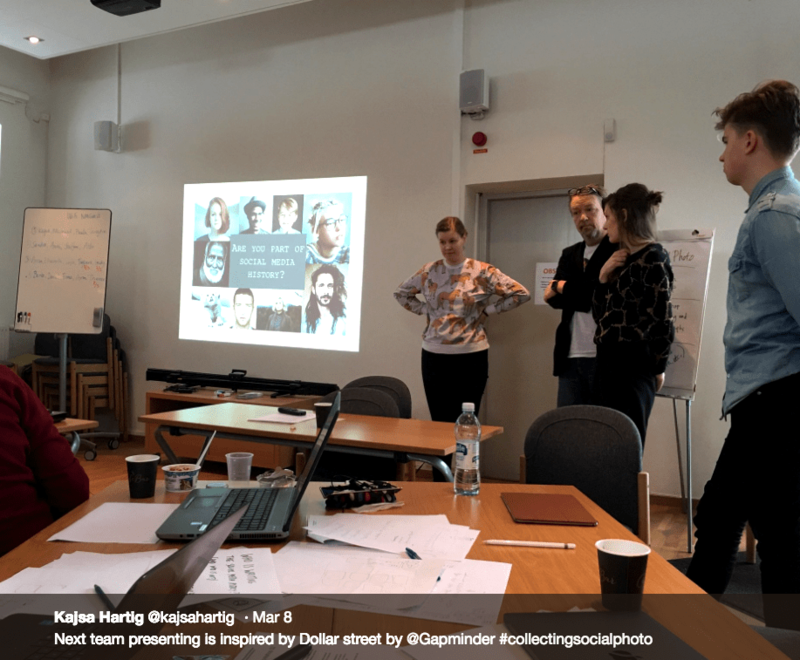 We joined a two-day workshop by Collecting Social Photo hosted by Nordiska museet, about –as the name suggests- collecting social digital photographs, from the perspective of a museum. How do we get a wide and accurate representation of social media photography into the museum archives? What role do museums have in collecting social photos? For more info about the project, click here.